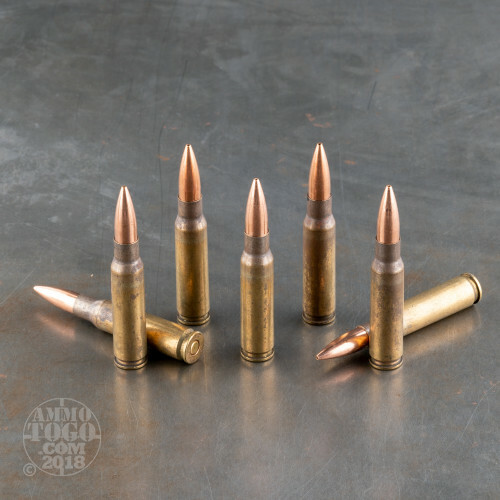 Manufactured at Lake City Army Ammunition Plant (LCAAP), this XM118 7.62x51mm NATO (.308 Winchester) is designed for accurate, long-range shooting. 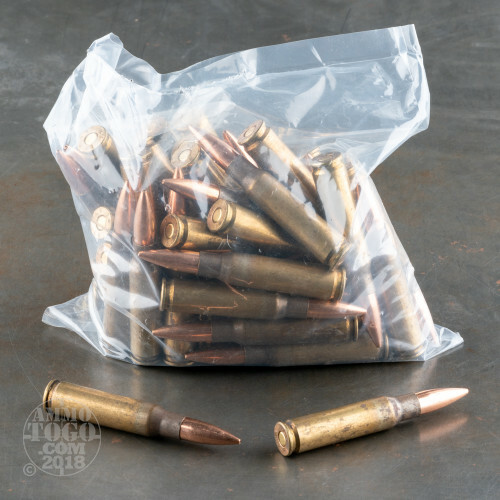 Loose-packed in 50 round cases, these rounds are considered military seconds. Military specifications are extremely stringent. 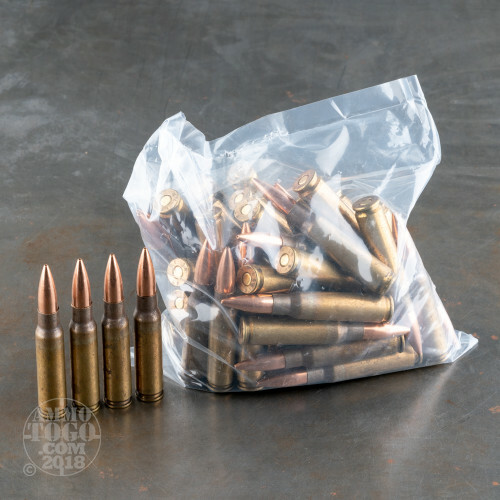 When a few rounds fail out of a large batch, the entire lot is sold to civilian consumers as "seconds". This means the majority of these rounds are in perfect condition. Loaded with boxer primers in new production brass, each casing has been through a military spec annealing process to strengthen the brass. Because these are military rounds, they retain a dark residue at the case neck left as visual evidence of the annealing process. Each round is loaded with a 175 grain hollow point boat tail (HPBT) projectile. Delivering pinpoint long distance accuracy, these projectiles leave the muzzle at a screaming velocity of 2580 feet per second. 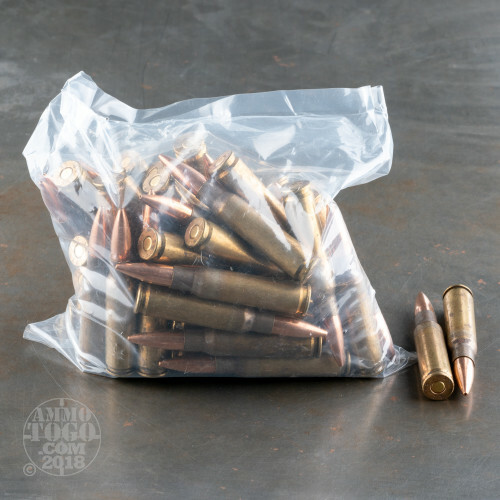 Because these high-quality rounds are considered seconds, they are an affordable option for bargain-seeking shooters who refuse to compromise on performance. This ammo is in good condition and NATO head stamped. Can't wait to get out to my 300yd range and see how it performs!